Pope Francis has given us examples of the kerygma—the Good News we proclaim. This month I explore how elements of Pope Francis’ summary of faith can become an outline for helping Catholics articulate the faith for themselves. Although the faith is often deeply embedded in practicing Catholics, words do not come that easily… so here’s a way to exercise that. We are happy to present ideas from Marcel LeJeune giving four reasons why it’s hard for us to communicate with younger generations. Many leaders have been warning us that communication has to begin with listening; this piece helps us reflect on ways to build bridges to 21st Century young people. We also have a recap of Jane Angha’s articles on being a welcoming community. If you are in Los Angeles later this week, be sure to visit us at booth 172. And also check out the book Catholic Discipleship — which many are finding very helpful in leading Catholics to insights about their lives as missionary disciples. We also offer a variety of our evangelization products at a deep discount! 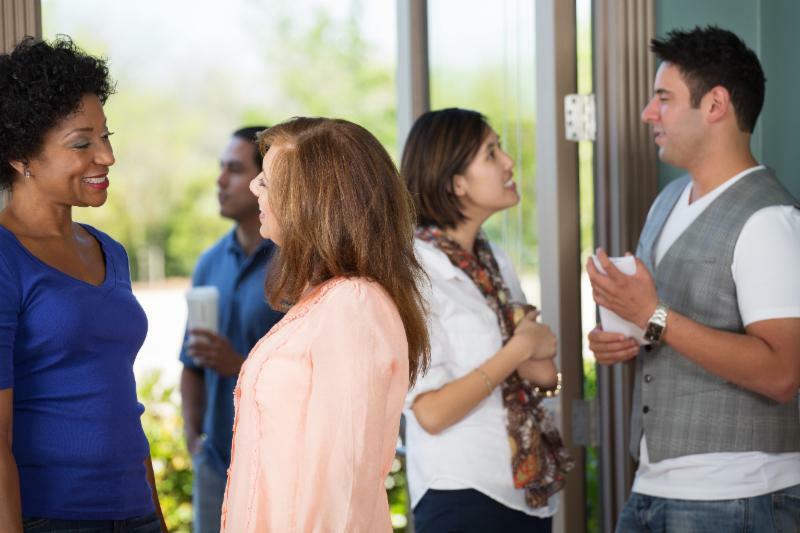 Jane Angha of www.ministryblueprints.com recently contributed a series of articles on the importance of hospitality and welcome in parish evangelization. The four essays can be found below. 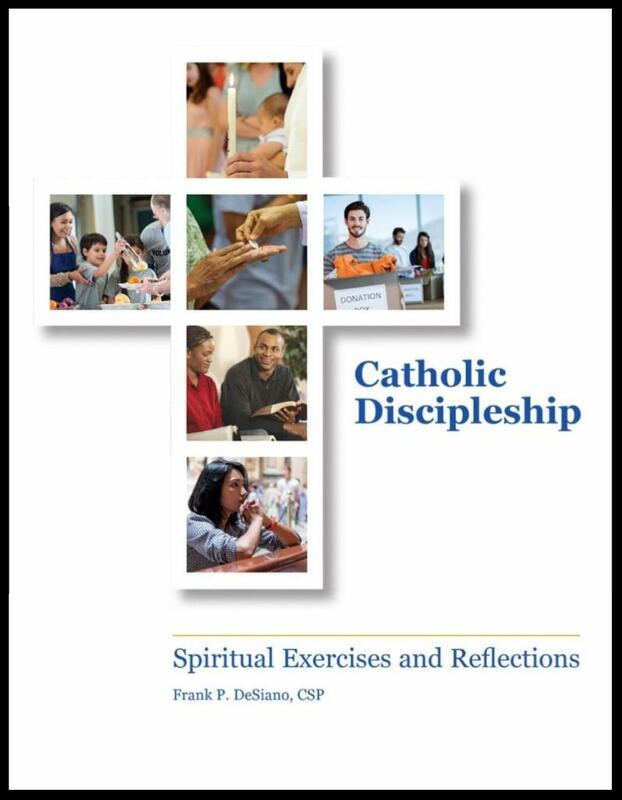 Catholic Discipleship: Spiritual Exercises and Reflections offers twelve easy-to-read sections to build awareness of discipleship in the lives of Catholics. 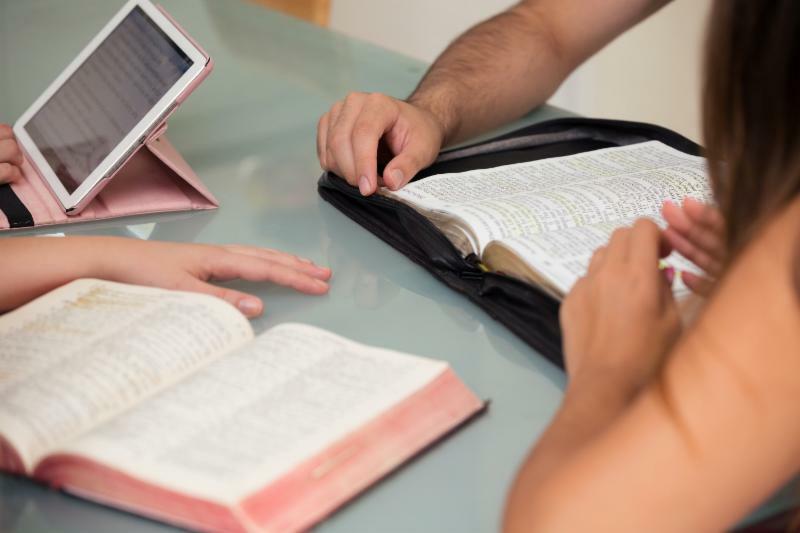 Each unit contains a reflection, a spiritual exercise to encourage personal involvement with the theme, and a selected Scripture passage with discussion questions. I don’t understand relativism and that means that whenever I talk with someone who is a relativist, even in small parts, it is hard for us to connect. I realized this many years ago and had to switch my tactic in order to be more effective in my evangelization. More on that later. Maybe you have had a similar issue in conversation with modern folks. Maybe it is that you find you are struggling as an evangelist. In this blog post, I will explore some reasons why Catholic evangelists are talking past modern people and struggling to evangelize. 1 – We speak different languages, though using the same words. When you use common Catholic words (or faith-based words in general), you might be thinking of radically different things than another person. Even words such as: “Church”, “faith”, “love”, “peace”, and even “God” can be defined in many different ways. So, what do you mean by these words? Regardless, you need to define your terms. But, even further, you need to explore what the other person understands these words to mean. But, to really explore another person’s thinking, you have to use good listening and good questions. 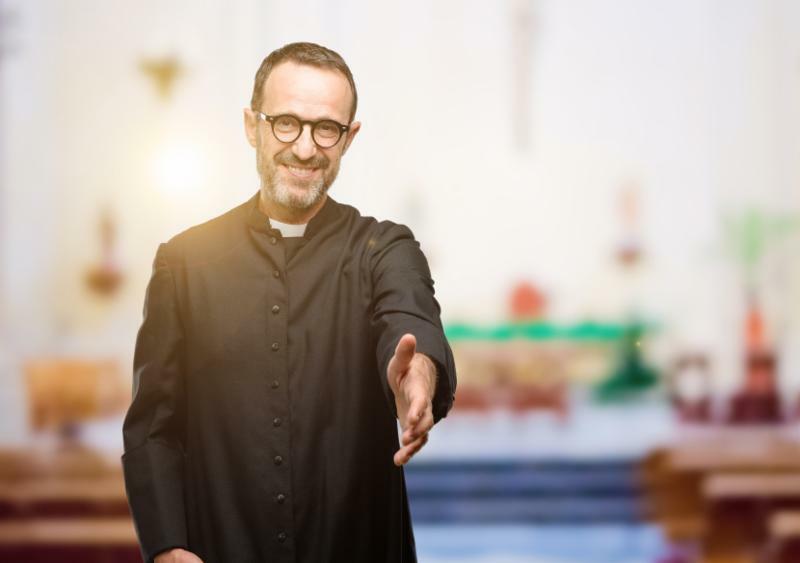 If you don’t know what kind of questions might be good to use, then you can find a list of open-ended questions a Catholic evangelist might start with here. Attending the LA Religious Education Congress this week? Come visit us at Booth 172! We’ll have samples of our most popular resources! Stop by and see how we can help your parish or diocese form missionary disciples and reach out to inactive Catholics and seekers in your community. Awakening Faith is an easy-to-use process to reach people of all ages. Through conversation and accompaniment, people can begin to imagine themselves active in a parish community. Download the Awakening Faith Manual for only $14.95. The Group Leader Guide gives step-by-step plan to a facilitator about how to lead the six sessions. 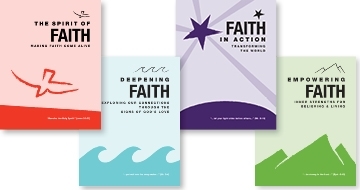 The Participant Booklets provide easy-to-read material and pertinent questions to help participants explore—and re-experience—their faith. 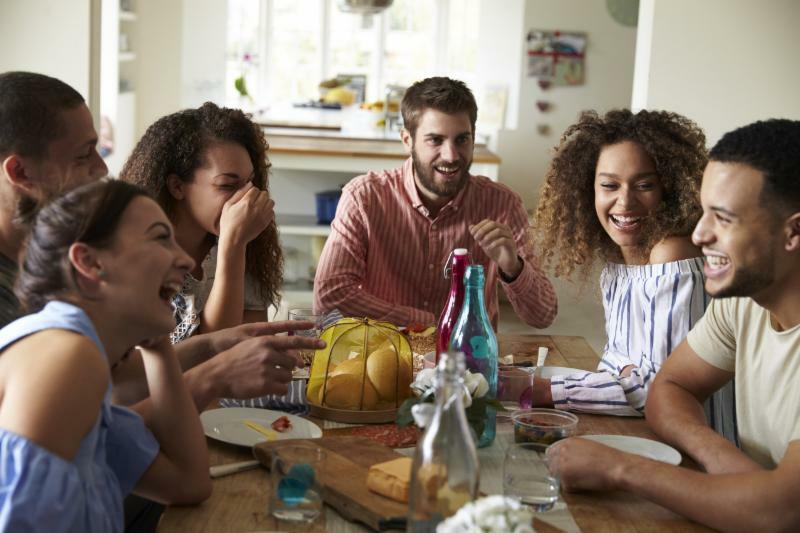 Six conversation-based sessions help Catholics refresh the elements of their faith experience—spirituality, God and Jesus, the Spirit, mercy, the Mass, and the Church. 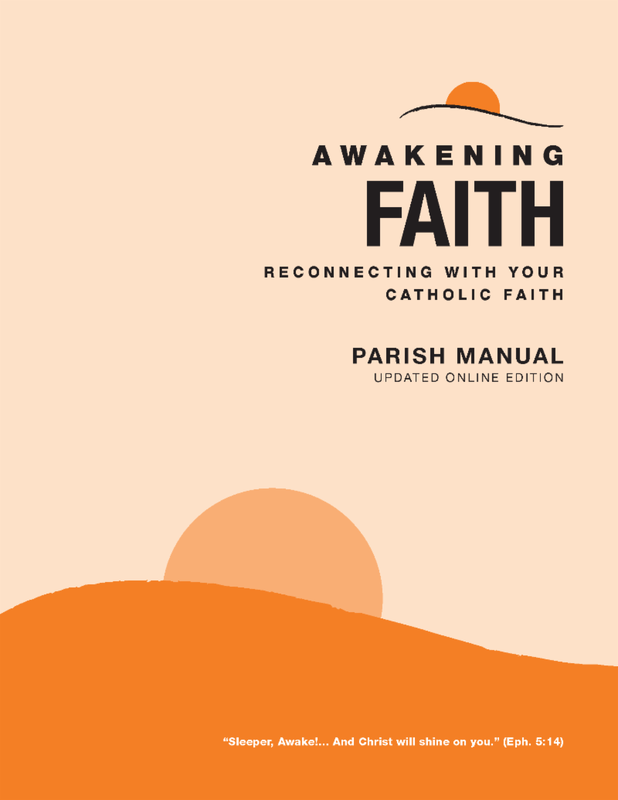 Order the new manual here and bring this outreach initiative to your parish!